Mostly slow and sometimes uncomfortable, the auto rickshaw is as synonymous with Asia as rice paddies and noodle soup. But it’s not just in Asia that the auto rickshaw has made its mark. 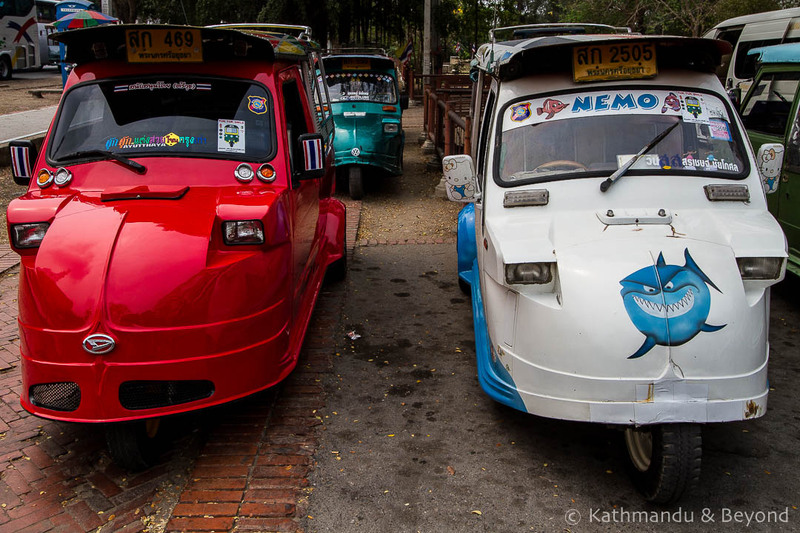 You can regularly see them tuk-tuking their way through the streets of several Central American cities and towns. 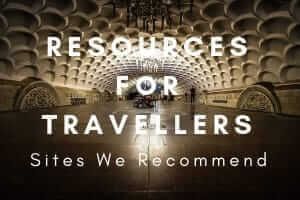 They are also used as a mode of transport in a couple of South American countries and are still commonplace in many African states including Nigeria and Sudan. You can even spot them in some European cities. This is particularly true of Italy, where Piaggio still manufacture their three-wheeler called the Piaggio Ape. But it is in Asia that the auto rickshaw is used with most regularity and love it or hate it, there is no denying that it is an inherent part of Asian culture and would be sorely missed if it was replaced by more modern modes of transport. Who says you have to use your rickshaw to transport people? We spotted this one whilst cycling around Anuradhapura in Sri Lanka. The vendor was doing a roaring trade in what I would generally describe as cheap tat. Forget your ‘Chelsea Tractors’ (*) with their backseat TV screens to keep little Tarquin and Penelope happy on the journey to school. Seven school kids in the back of this Indian auto rickshaw in the Gujarati city of Ahmedabad is just as efficient when it comes to doing the school-run. (*) Range Rovers and other 4WD sport utility vehicles for those not familiar with the saying. In India, rickshaws share the road with just about everything including the odd elephant or two! Thailand has plenty of rickshaws although no one ever calls them that – it’s alway tuk-tuk but I have only seen this unusual design in the ancient city of Ayutthaya, Central Thailand. I call it the ‘Finn’ because it’s rather serious and a bit miserable-looking. Based on the Indian Bajaj RE model, this to me is an auto rickshaw in its most recognisable form. We photographed this one in the southern Sri Lankan city of Galle. This auto rickshaw was spotted in Antigua, Guatemala. To me, as mentioned earlier, it looks out of place because I always associate auto rickshaws with Asia but in fact there are plenty all over Central America. They are a common sight not only in Guatemala but also in Nicaragua, El Salvador and Honduras. They tend to be based on the Indian Bajaj model. A bit more basic and older looking than many of its Asian cousins (IMHO), the Chinese rickshaw is none the less quite practical for getting around big cities. It is commonly called the ‘three wheeler’ (sān lún in Mandarin) or the far more amusing ‘beep beep car’ (dū dū chē in Mandarin). Check out the chrome on these bad boys! This style of tuk-tuk (common in the Mekong River region Thailand and Laos) may look the business but they are actually one of the slowest rickshaws around. The Cubans call this funny looking rickshaw the Coco taxis because they think it resembles a coconut. I can see where they are coming from but to me they look more like something you would find at the fairground, albeit with wheels. This has to be my favourite rickshaw although when you are in Havana (where they are used the most), as a tourist you don’t notice them so much because they are overshadowed by all the gorgeous classic American cars that you see everywhere. If rickshaws teased each other this one would be a constant source of amusement for all the others! A bit on the titchy side, you would think that a nation that invented the testosterone fuelled Jeepney would come up with something a bit more manly than this? In my opinion this is the ‘daddy’ of all auto rickshaws – they are fast and make a great noise when they get going. I avoid them like the plague these days (you never get a fair price out of the driver and metered taxis in Thailand are much cheaper anyway) but I still remember my first trip to Bangkok when a friend and I hired a tuk-tuk each and paid the drivers extra to race each other as fast as possible up and down Rama IV Road – great days! Known locally as baby taxis or CNGs (because they run on compressed natural gas), the Bangladeshi auto rickshaw has to be one of the most frightening rickshaws that we have travelled in. This is particularly the case in Dhaka, where the traffic is insane to put it mildly. CNGs dart and skirt their way around the city and all you can do is sit back and hope you will arrive at your destination in one piece. The scariness of the journey is further compounded by the fact that you are entrapped in a cage and only the driver has the ability to let you out. Many locals refuse to use CNGs, citing them as too dangerous and opting for the slower but less confined cycle rickshaw instead. After taking our first journey in one, we decided to heed local advice and thereafter only opted for an auto rickshaw if our intended journey couldn’t be undertaken by cycle rickshaw. 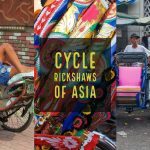 If you enjoyed this post, you’ll probably also like Cycle Rickshaws: An Asian Icon and Rickshaw Art in Bangladesh. Given your obvious love and admiration for the tuk-tuk, from now on we will provide a tuk-tuk service instead of a BMW X3 service when ferrying you from pub to pub. I just need to find a yellow one, with chrome and super go-fast wheels. I enjoyed this and, as always, great photos. Now that you have done cycle rickshaws and auto rickshaws, what’s next? Bemos? Saungthaws? That’s a good point. Not sure but shared transport such Bemos and the like could be a good option. I’ll give it some thought! How cool! I’ve not seen some of the variations before. I liked the souped up one, the colourful Filipino one and the bubble one from Cuba. The cage one looks a bit like prisoner transport, no? Thanks and you are correct about the Bangladeshi one. It was also the scariest one to ride around in! Hi! Great and informative post, do you happen to know roughly how many auto rickshaws exist in the world? I am doing a study but can’t seem to find any data. Hi Kimberlee, thanks for your comment. That’s a good question but I am afraid I don’t know the answer – millions I reckon! 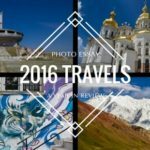 very nice post , excellent article . Thanks for your sharing .